Class II presented myriad hues of patriotic and cultural feast as their Annual Presentation on the theme ‘Bharat Bhagaya Vidhata’ unfolded. The programme commenced with the ceremonial lightning of the lamp by the chief dignitaries, the principal and other eminent guests. The Annual Academic Awards were presented to the students. 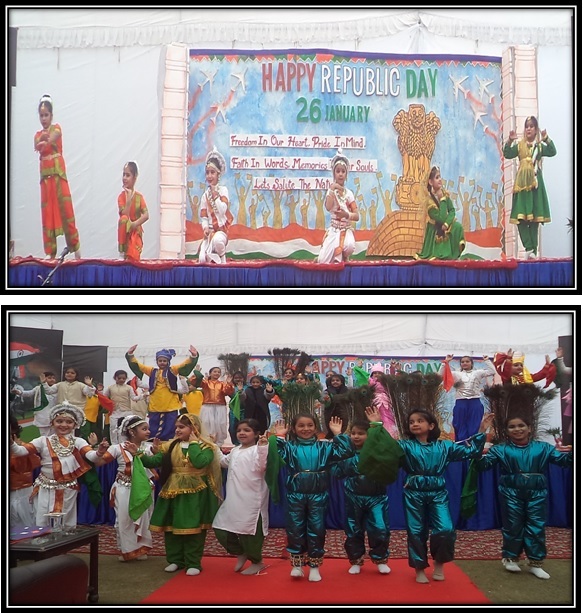 The students took great pride in presenting the importance of National Symbols through vibrant skit interspersed with graceful dance performances while keeping the spirit of festivity alive. The students created magic as they performed the tiger dance, dolphin dance, Vande Mataram followed by a yoga presentation underlining its health benefits and spiritual power. The Chief Guest in his speech saluted the dauntless spirit of the little ones and spoke glowingly about the hardwork, dedication and efforts put in by both teachers and students to make the programme a grand success.